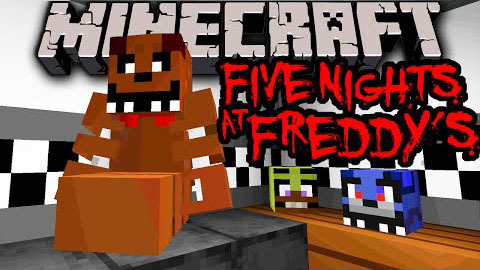 This is a fully functional Five Night’s at Freddy’s remake in Minecraft. Using a majority of the new 1.8 command features, as well as a combination of animated Armor Stands. 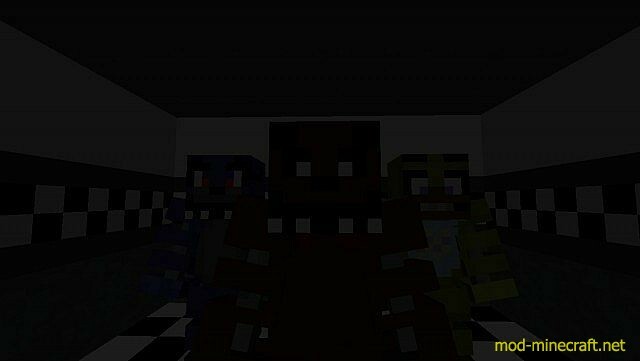 Complete with moving animatronic animals, security cameras, power, lights, doors, & a custom resource pack for accurate sounds & textures. It can be a bit buggy, but it’s awesome to see what can now be made without mods in the vanilla Bountiful Update. 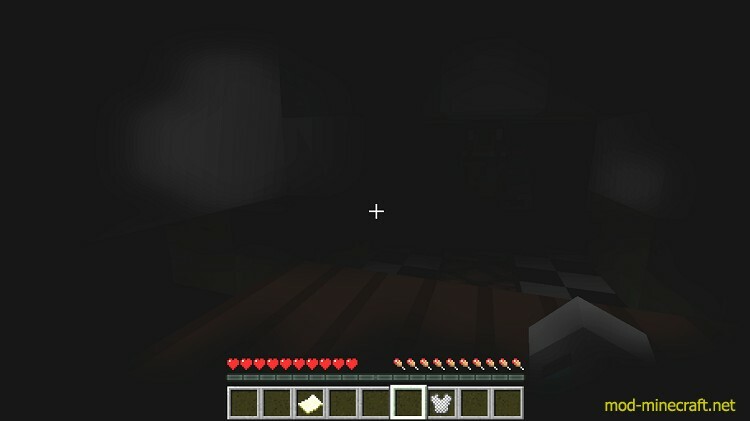 This map will of course use a resource pack that shall be included in the map download. This map contains sudden images and loud noises. It will be scary. At the beginning of the game, you may experience what you believe to be a crash or your Minecraft freezing over, do not close your game. This is just the resource pack attempting to play the first sound. Due to current laggy nature of Minecraft (especially under the stress I’m putting it through) it is completely normal to experience lag or slowness during playing this game IF you have a slow PC. Unfortunately this is completely out of my control. Apologies.